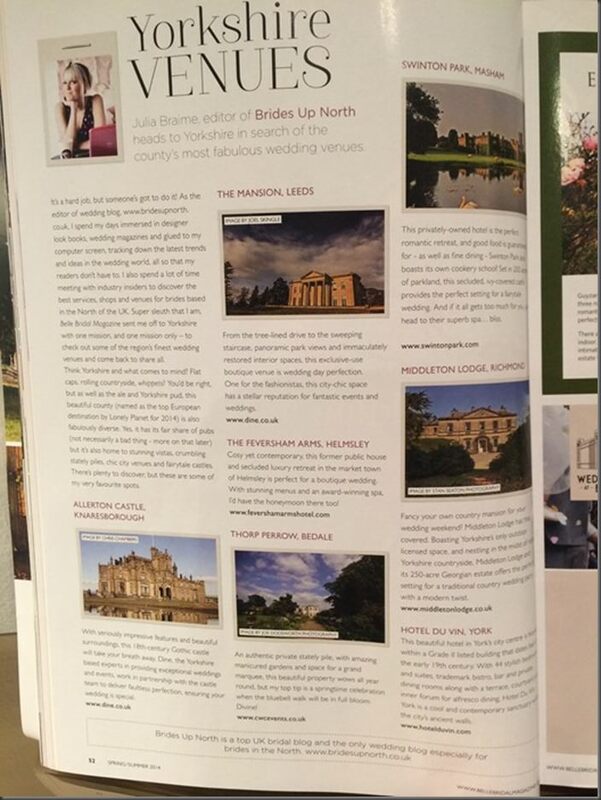 We were thrilled to be featured in top UK wedding blog Brides Up North’s selection of Yorkshire’s best wedding venues for the 5th Birthday edition of Belle Bridal Magazine, spring/ summer 2014. “It’s a hard job, but someone’s got to do it! 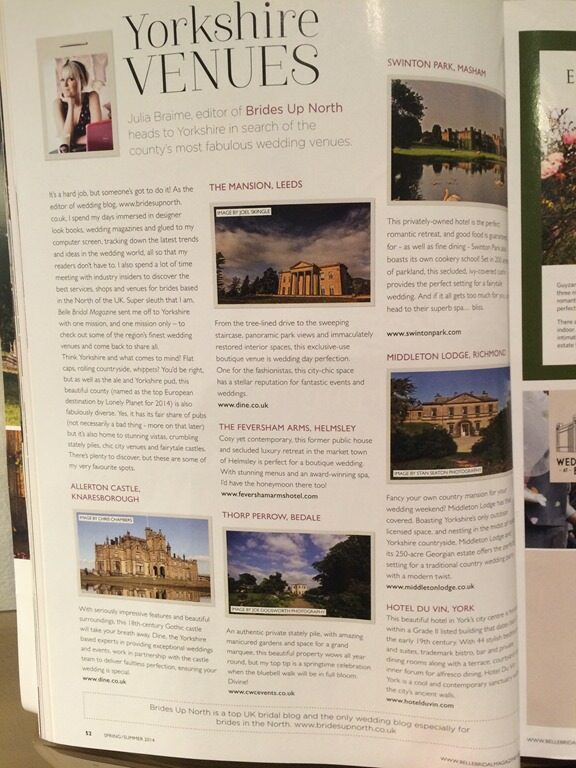 As the editor of wedding blog, www.bridesupnorth.co.uk I spend my days immersed designer look books, wedding magazines and glued to my computer screen tracking down the latest trends and ideas in the wedding world, so my readers don’t have to. I also spend a lot of time meeting with industry insiders to discover the best services, shops and venues for brides based in the North of the UK. 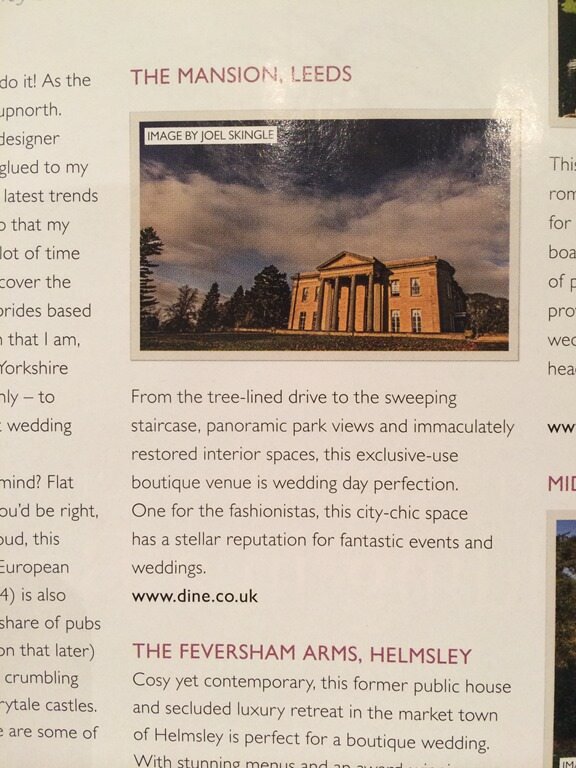 Super sleuth that I am, Belle Bridal Magazine sent me off to Yorkshire with one mission, and one mission only – to check out their best wedding venues and come back to share all. 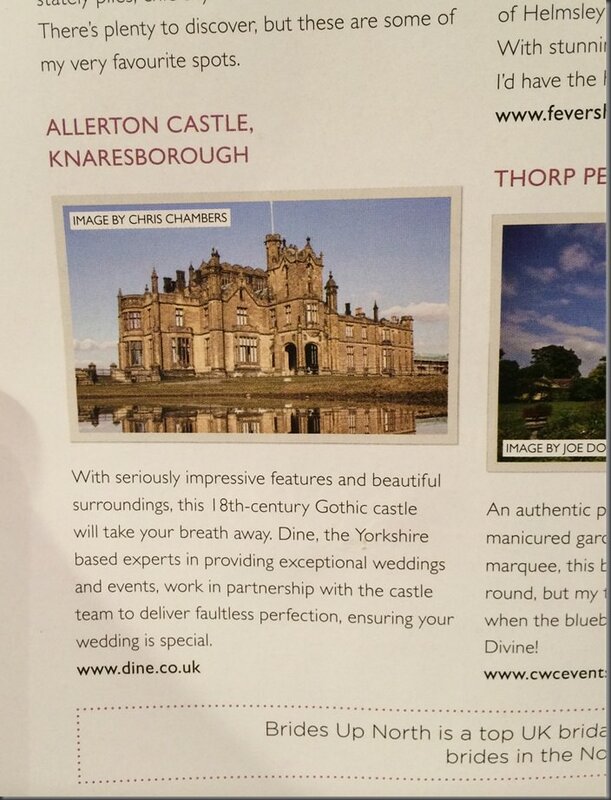 Contact us for more information about holding your wedding or special event at either venue.